It's clear that Texas Tea Partiers and the Republican Party Platform notwithstanding, the Republican Party in Texas wants to grand stand against "illegal immigration" but not actually do anything about it. As we all know, anti-immigrant rhetoric makes for good pablum for those running for elective office. It also allows them to reconcile their politics with the inescapable reality of a massive Mexican/Mexican American/Latino demographic. I do want to give credit though to both our great legislative leadership and very well organized and powerful statewide movement against these proposals. 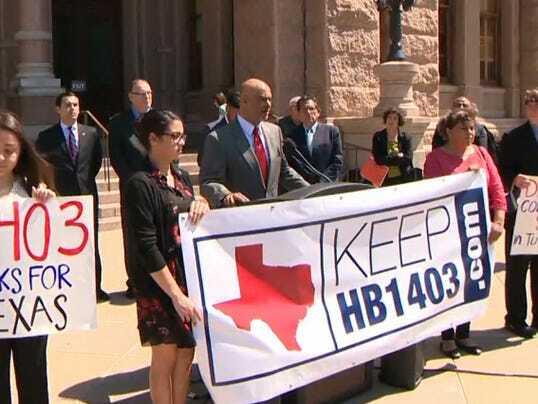 The vast majority of those involved of course are the constituency that was created out of HB1403 out-of-state tuition waiver bill itself passed in 2001 session when Rick Perry, a republican, was governor. I often think that these legislative proposals are intended to harm and disparage us as a Mexican/Mexican American/Latin@ community in Texas as a subtle or not-so-subtle form of psychological warfare. These proposals foster an enormous amount of anxiety, anger, and frustration among so many of us that have to face up to the vitriol. However, I increasingly sense that they are also intended to keep us as a community in a defensive, and thusly, a reactive posture. While our youth and community would certainly not possess the organizing skills that they have as a result of their having to perpetually defend themselves against these proposals, I suspect that they may be a strategy for political containment—that is, they absorb the attention and therefore contain the activism of our community within a specific policy arena to the neglect of other vital policy arenas. I dream for the day—that I trust shall come—when we can shift our attention and sophisticated movement tools, know-how, and energy to other arenas of public policy like public education, higher education, criminal justice, energy resources, environmental regulation, human service, etc. that are sorely in need of voice, presence, and action for a community that is simultaneously profoundly affected by the work of these committees and largely not present—indeed relatively voiceless on matters of such great importance, or at least so in any way that comes close to their participation in all the anti-immigration battles. This is not a criticism, just an observation and a hypothesis. All told, we need to see these other arenas of policy similarly as part and parcel to the broader agenda of disenfranchising Latin@s, African Americans, and the already underprivileged, in general. After all, undereducated people do not vote to the same degree as educated ones do. What is encouraging though are the strategic alliances and networks that we have formed over time and the passion for justice that they inspire. AUSTIN — Bills offered by tea party Republicans to target illegal immigration appear to have died quietly, after stirring up some of the most emotional and intense debate of the 140-day legislative session. Barring some last-ditch maneuvering, a proposal to repeal a law that allows some students who are in the country illegally to pay in-state college tuition is done. The same goes for an effort to crack down on “sanctuary city” policies. Also going nowhere is a measure to create an interstate border security compact that would seek ways for Texas to enforce federal immigration laws. None of the measures even got as much as a hearing in the House State Affairs Committee, led by Rep. Byron Cook, R-Corsicana. And in the Senate, only the border compact was debated; it passed, but died in the House at a key deadline late Tuesday. Republicans are poised to succeed in providing a major border security boost — spending $800 million on it over the next two years. But the Legislature’s more conservative members couldn’t get enough traction to force the issue on more contentious policy. “We just don’t have the time in 140 days to deal with the big-ticket issues and also pander to a small percentage of movement conservatives,” Rep. Jason Villalba, a Dallas Republican who opposes such proposals, said last month. The Senate gave final approval Tuesday to a border security bill that helps solidify the state police’s presence at the Texas-Mexico border. If the House accepts the Senate’s changes, it will head to GOP Gov. Greg Abbott, who has indicated he’ll sign it. Many Republicans view the other immigration measures as unnecessary and harmful to their efforts to win over Hispanic voters. Others, having heard from the GOP base, say the state needs to cut off “magnets” to illegal immigration as a key part of border security. “It’s just bad policy that rewards illegal immigration in perpetuity,” Sen. Donna Campbell, R-New Braunfels, said last month, explaining why she wrote the bill to repeal the in-state tuition program. It appears that divide will linger unresolved for at least two more years. The opening weeks of the legislative session saw ambitious plans for education reform — expanding pre-kindergarten, overhauling teacher evaluations, creating a private school voucher program and updating the state’s accountability system, to name just a few. With just over a week left in the 84th Legislature, it’s make-or-break time for bills. Ahead of another big deadline Saturday — when Senate bills must make it out of House committees — here's where the big education measures stand. Pre-kindergarten: Efforts to expand state-funded early education to a full day have failed this session. The Gov. Greg Abbott-backed House Bill 4, which creates a grant program for school districts that choose to implement certain quality standards, has passed both chambers. It now either heads to the governor’s desk or conference committee — depending on whether the House approves amendments added in the Senate. Accountability: Priority legislation from Senate Education Chairman Larry Taylor enacting A-F grades for schools became part of HB 2804, which passed the House last week and awaits Senate approval. That bill makes broader changes to how the state evaluates schools, including bringing in factors like community engagement, Advanced Placement course enrollment, attendance and dropout rates. 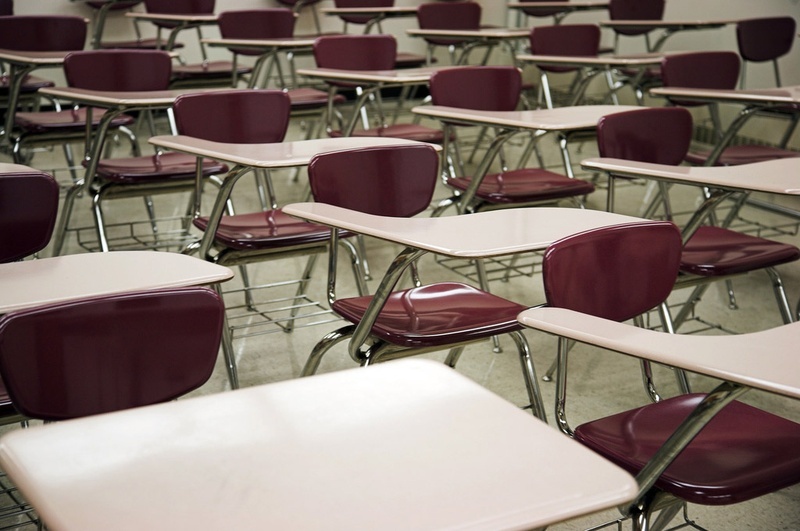 School Turnarounds: Controversial proposals to allow parents to petition for new management at struggling public school campuses as well as to create a special state-managed district for underperforming schools have both passed the Senate. Those bills — Senate Bill 14 and SB 669, respectively — await approval of the House Public Education Committee, which must vote them out by Saturday’s deadline if they are to have a shot at passing. Virtual Education: A bill from Taylor — SB 895 — that would lift existing limits on the number of online courses students can take has passed his panel but has yet to make it to the Senate floor. This one is likely out of time. Private School Scholarships/Vouchers: As the session has progressed, lawmakers have narrowed down proposals that would give parents financial support to send their children to private schools. What’s left on the table is a plan to allow businesses to contribute to a scholarship fund for low-income students in exchange for a state tax break. The measure, SB 4, has passed the Senate and awaits a hearing in the House Ways and Means Committee, which it must clear by Saturday. Teacher Evaluation: The prospects of what has been a multi-session push to overhaul the state’s teacher evaluation system succeeding this time around appear to be grim. The two big measures — state Sen. Kel Seliger’s SB 893 and SB 892 — must both be heard in House committee by Saturday to have a chance to make it to the governor’s desk. School Finance: The clock ran out on House Public Education Chairman Jimmie Don Aycock’s effort to tackle the state’s outdated school finance system last Thursday, which was the deadline for the House to pass its own bills out of the chamber. 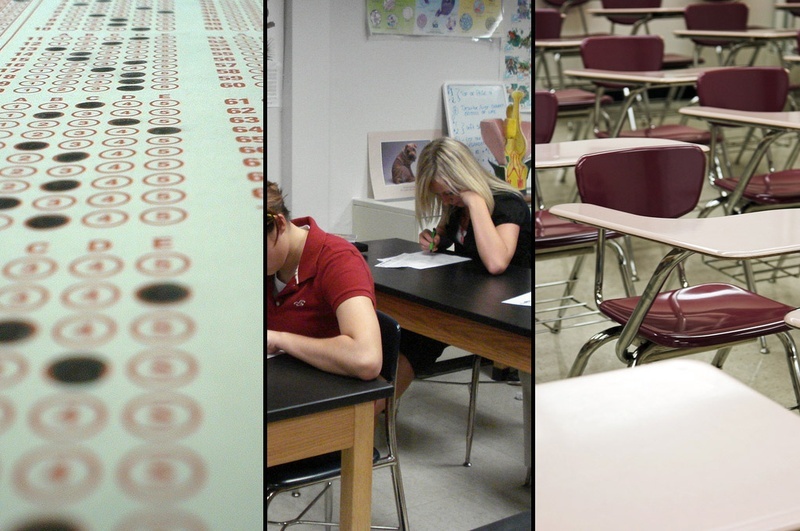 Rather than a "snooze button," we need a national moratorium on high-stakes testing. KLRU/PBS Story- "Academia Cuauhtli Works to Bridge History with Language"
Thanks to videographer Blair Waltman-Alexin with KLRU for doing such a wonderful job covering Academia Cuauhtli in this May 1, 2015 video (posted). Thanks to everyone in Nuestro Grupo, our community-based organization, , as well as our partners—the Austin Independent School District—especially Chief Academic Officer Dr. Pauline Dow and her excellent staff, and the City of Austin, Parks and Recreation Emma S. Barrientos Mexican American Culture Project (ESB-MACC) where Academia Cuauhtli is physically located. Laura Esparza, Herlinda Zamora, Tiffany Moreno, the ESB-MACC board, and all the staff, you have been such great partners. Thanks, as well, to maestra/teacher Rosa Tupina Yaontonalcuauhtli and Grupo Danza Xochipilli for inspiring us with song and danza. And thanks to the Sanchez, Metz, and Zavala Elementary fourth- now fifth-grade children—and their parents and grandparents—for honoring us with their presence and participation at Academia Cuauhtli. We begin with a new group of fourth graders in the fall. Muchísimas gracias también a los maestros bilingue del distrito escolar—to the participating AISD bilingual education teachers, as well, for giving so generously of their time, intellect, and motivating energy. Our ancestors surely want us to not only feed the mind but also to feed the spirit through song, dance, edifying values, and love of community. And so we are grateful to them, too! Okay, so we trade out one testing company for another....? On another matter, Senate Bill 1200 (by Larry Taylor) gets heard tomorrow in the House and it is related to recommending a new system for student assessment. The hearing begins at 2PM in E2.036. The bill seeks recommendations to address "the purpose of a state accountability system and the public; support learning activities; recognize application of skills and knowledge; measure student educational growth toward mastery; and valuing critical thinking" (oddly worded). In addition, policy change seeks to promote community-based accountability, "parent and community involvement, and reflect the unique needs of each community." I'm considering testifying. The London-based Pearson Education has held the state's largest education-related contract — most recently, a five-year $468 million deal to provide state exams through 2015— since Texas began requiring state student assessments in the 1980s. Under the new agreement, the company would still develop the state's assessments designed for special needs and foreign students. That portion of the contract is worth about $60 million. 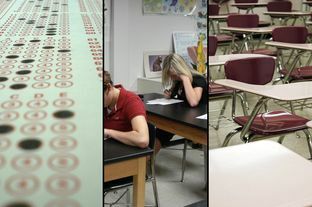 As the Legislature moved to reduce the state’s standardized testing program in response to widespread outcry from parents and school leaders in 2013, the state's contract with Pearson became the focus of much criticism. Many lawmakers, including former Senate Education Committee Chairman and now Lt. Gov. Dan Patrick, R-Houston, attacked what they viewed as the company's excessive influence in the policy-making process and called for called for greater scrutiny of testing contracts. Unfortunately, this piece makes no mention of gentrification or the need for policies that make housing affordable. As mentioned, we are also a "dual language education district," in AISD but our much-needed, highly qualified teachers also tend to find living in Austin beyond their reach. For starters, here is a link to a policy guide from the American Planning Association on the kinds of steps we can take to address affordability and sustainability. I-35, north of FM 1626 and east of FM 1826 rather than Central Austin. upper-middle-class Hispanics is probably at an all-time low,” he said. percent in 2010, Robinson said. And so I think that’s telling,” he said. residents east of I-35, Robinson said. affect our economy,” Madrid said. “This growth has been nothing short of phenomenal,” Robinson said. 50 percent of the population, he said. residents further outward, Robinson said. of our student population,” Saldaña said. equity, diversity and inclusion during the March 30 meeting. bilingual director for AISD’s department of ELL. AISD launched dual-language programs in 2010 in elementary schools. more bilingual teachers,” she said. some classes in Spanish, she said. “We want to set the baseline in 2015-16,” she said. and state funding to bridge that gap, she said. In 2014 the GAHCC released its Hispanic Business Research Study data, he said. Click on the charts below to explore Hispanic population trends with an interactive version of the chart. Source: For 1960 and 1970, see Passel and Cohn’s 2008 population projections. For 1980-2000, Pew Research Center analysis of U.S. Decennial Census data. For 2006-2013 American Community Survey (IPUMS). Since 1960, the nation’s Latino population has increased nearly ninefold, from 6.3 million then to 54.0 million by 2013. It is projected to grow to 119 million by 2060, according to the latest projections from the U.S. Census Bureau (2014). The foreign-born Latino population has increased by more than 20 times over the past half century, from less than 1 million in 1960 to 19 million today. On the other hand, while the U.S.-born Latino population has only increased sixfold over this time period, there are nearly 30 million more U.S.-born Latinos in the U.S. today (35.0 million) than there were in 1960 (5.5 million). KC, Consuelo’s eldest daughter provides a quick re-cap of their recent visit to Austin as part of the closing ceremony and graduation of children in our first, fourth-grade cohort—children that are moving on this coming fall to the fifth grade in Sanchez, Metz, and Zavala Elementary Schools in east Austin. It was a real treat having Consuelo Kickbusch present to our children and parents—first on Friday evening and then again on Saturday. She is such a gifted speaker and person. Among the many special moments, a very touching one was when the children surrounded Consuelo Kickbusch and dedicated to her the song, "Aguila," a beautiful, very personal song that asks the eagle to take us on its winged flight throughout the universe in order to show us the road to our own hearts. She was very moved by this choreography of love and kindness, as were all of the rest of us watching on. Thanks to Rosa Tupina Yaotonalcuauhtli and Grupo Xochipilli for the beauty and joy they brought to these children's lives—as well as to our community as a whole. What a truly fulfilling and gratifying way to end the year in the presence of the community and that we as a community and AISD school district have collectively cultivated in and around the Emma S. Barrientos Mexican American Culture Center. It was a real team effort. Thanks to everyone in Nuestro Grupo, the community-based organization that launched Academia Cuauhtli, for making this dream come true. The children are an inspiration, and their teachers,too! The genuine love and caring of our community is uplifting, as well! Today might be a day to learn about Chicana Feminism. Learn about Martha P. Cotera, referred to herein as the "Mother of Chicana Feminism" here. 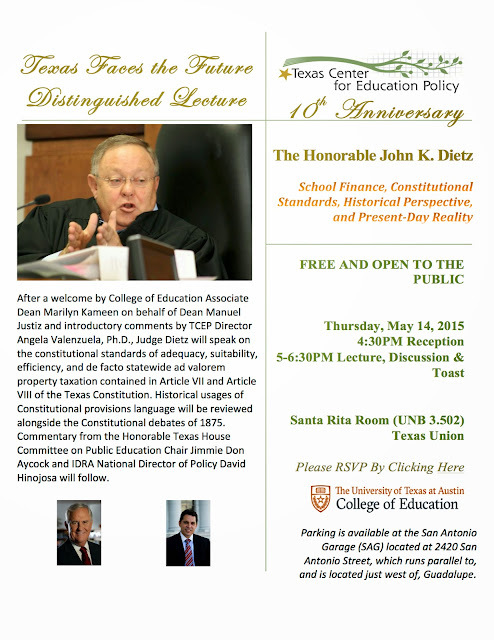 REMINDER: Texas Faces the Future Distinguished Lecture - featuring Judge John K. Dietz, "School Finance, Constitutional Standards, Historical Perspective, and Present-Day Reality"
This day also marks TCEP's 10th Anniversary to which we shall also toast so consider joining us for this joyous occasion. Probably a truism everywhere. Happy Mother's Day, everybody! Either way, it seems like us folks lucky enough to have a public voice needsomething kinda scandalous sounding or anger-inducing to generate page views. “Such and such did this and that and it’s racist!” I definitely find myself doing that from time to time; I see it a quite a bit elsewhere as well. And while there are certainly developments that require a sharp response and things we have to work on, sometimes we sorta overlook that there are so many, many beautiful things to be thankful for within our communities. Indeed, if those voices would simply visit our homelands or pay attention to Native communities they would see that there simply is not a ton of angry Native people looking for more reasons to be mad. Our ceremonies, our languages and our societies have always focused on function, survival and beauty. 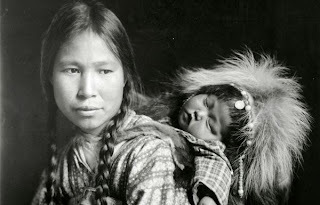 'Mother and Child—Apsaroke' by Edward S. Curtis. 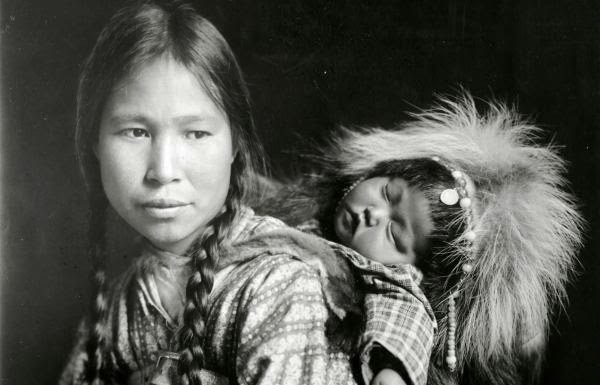 Source: Library of Congress.